What Material Should I Use For My Kitchen’s Countertop? When it comes to kitchen countertops there are a lot of choices, which is good because there’s bound to be something that suits your taste. 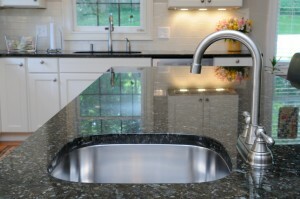 Here’s a review of a few of the more popular kitchen countertop materials. 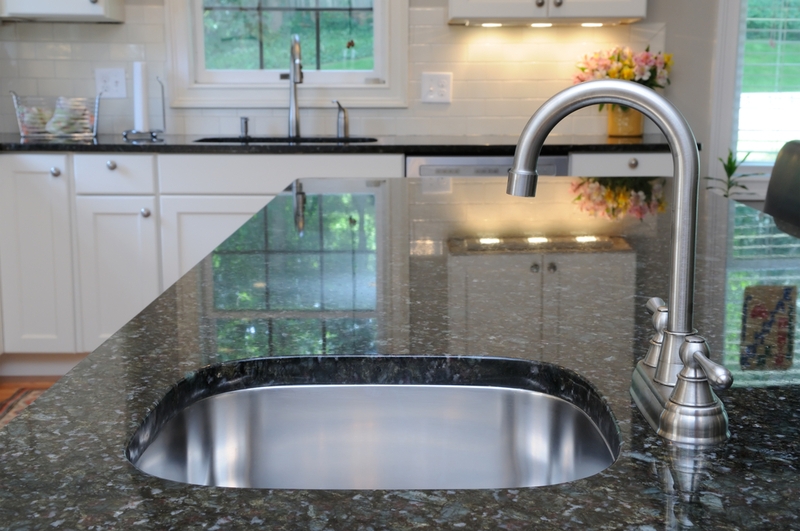 Granite is one of the most popular kitchen countertop materials both for its form and function. Granite countertops have unique and intricate patterns that were created with lots of heat and pressure far below the surface of the earth. Granite is also one of the most durable and damage resistant countertop materials, only requiring a seal once in awhile to prevent stains. Solid surfacing countertop is nice because it’s nonporous, which means it doesn’t require sealing or treatment with oils or minerals. It’s also seamless, so debris won’t get trapped in any cracks. Made from acrylic and polyester, it is vulnerable to scratches and burns, however these can be sanded out. If you don’t mind its artificial aesthetic, solid surfacing is a great low-maintenance countertop material. Tile is another common kitchen countertop material. It offers lots of versatility in terms of design, is relatively inexpensive, and is stain, heat, and blade resistant. However, the grout in between the tiles can stain, and makes the countertop’s surface uneven, which may prove impractical for some applications. Laminate countertop has been popular for many years as the most affordable kitchen countertop material. Though its particle board construction is decidedly artificial, new laminate countertop designs mimic much more expensive countertop options nicely. Laminate is low maintenance, light weight, and easy to clean, but also damages easily compared to other countertop materials. This entry was posted on Monday, December 23rd, 2013	at 7:23 pm	. You can follow any responses to this entry through the RSS 2.0	feed. Both comments and pings are currently closed.